Our executive team is looking forward to attending another great IFMA World Workplace event, Oct. 3-5, in Charlotte, NC. For more than 38 years, World Workplace’s best-in-class education and peer-to-peer networking has facilitated knowledge-exchange between professionals to build better operations across industries. We look forward to exhibiting and networking with attendees (over 4,000!). If you’re not already registered, click here for five reasons why you should attend. Planning to attend? Let’s meet in Charlotte! 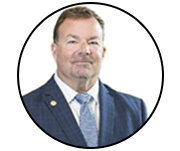 A 29-year veteran of the building services industry, Todd has led ESC Federal to unprecedented growth and success. 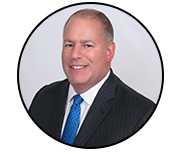 Todd is married and lives in the Philadelphia area where he enjoys spending time with his three children and two grandchildren. Roger has been with the company for more than 17 years. His core values of integrity and professionalism are demonstrated in his approach to customer, co-worker and partner relationships. Roger lives in sunny Orange County, California. 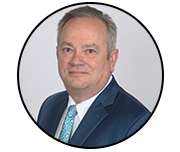 Ken joined the team in 1994 and brings more than 31 years of shopping center management experience. A graduate of Baltimore’s Culinary Arts Institute, Ken is married, a father of three, and grandfather of one. Ken is a proud member of IFMA Chesapeake Chapter and ICSC. A veteran of the U.S Navy, Bobby holds a bachelor’s degree from the University of Florida and an MBA from the University of Tennessee. Bobby currently enjoys life in Dallas, TX with his son, where he’s a proud member of the Dallas/Ft. Worth Chapter of IFMA. 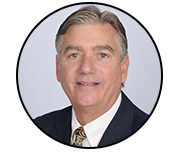 With more than 28 years’ experience, Jeff has worked in nearly every aspect of the facility management industry. 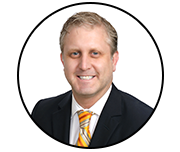 Jeff is a member of IFMA, APPA and Washburn University Alumni Association. When not at work, Jeff is a proud and passionate breeder of Rhodesian Ridgebacks.